Am back today with a much promised tutorial for Authentique. 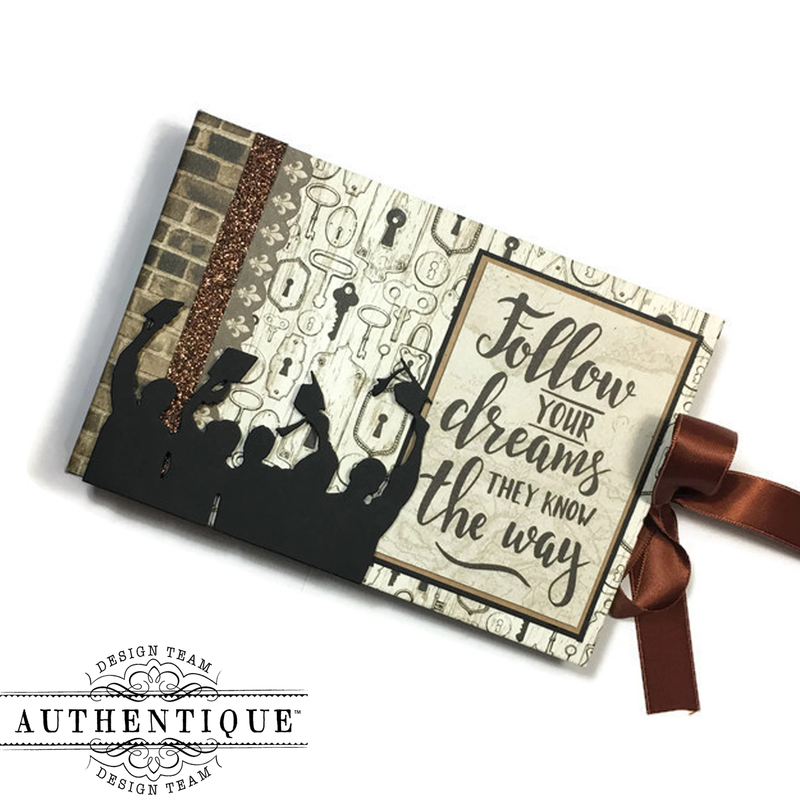 I was finally able to put together the tutorial for creating the 'criss cross' accordion pockets originally seen in my 'Jubilee' mini album shown here. 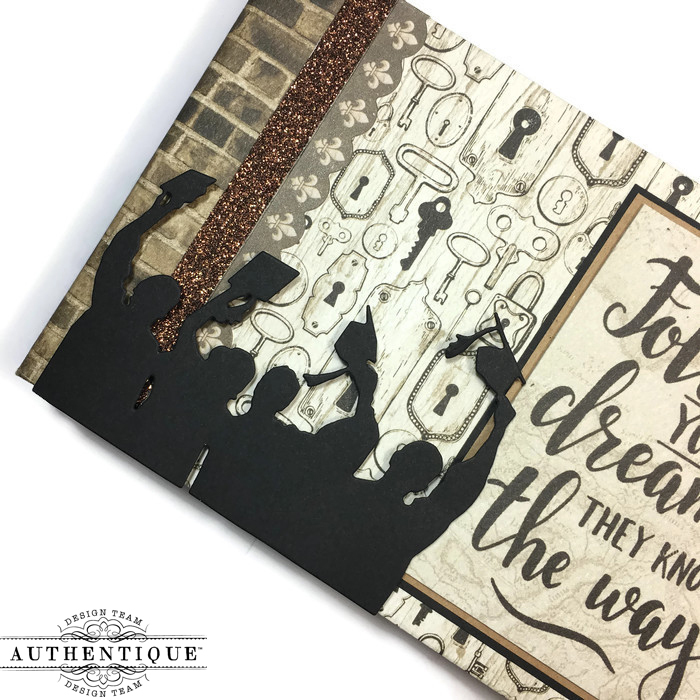 For this tutorial, I've used the 'Accolade' collection by Authentique which is a graduation themed paper collection. I myself am a fan of graduation themed projects. I love the overall sense of accomplishment one receives when finally earning that degree. It's rewarding at all levels; rewarding for the one who's graduating & rewarding for their loves ones who can witness such a fabulous & enriching life achievement. 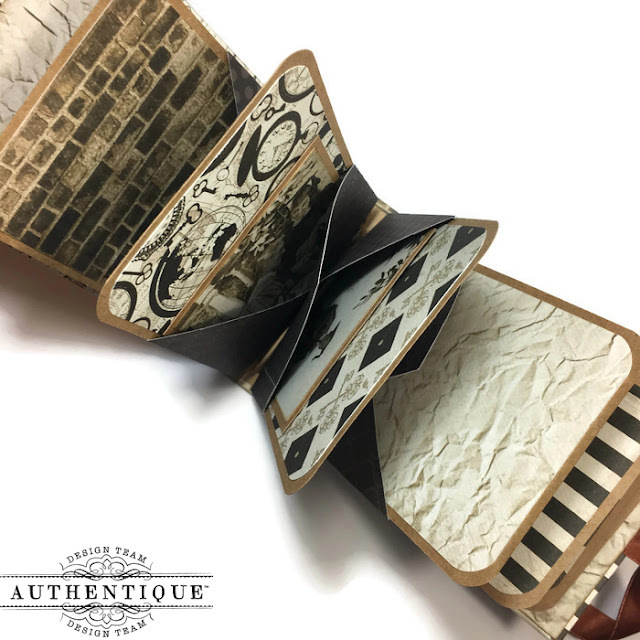 This mini album is available for sale in my Etsy shop, The Kraft Nook. If interested, feel free to visit my small shop here. I kept the front of the mini to what I consider to be 'gender neutral'. I chose instead to decorate it with a cut apart from the collection that consisted of a saying that I felt went well with the overall theme of this mini. With this mini I did include a closure. I felt that the 'Jubilee' mini needed a closure since the tags tend to fall out from the right end of the mini album if handled a certain way. So I added a simple ribbon closure. This keeps everything stored inside the mini right where they belong! This mini measures 6 1'4" x 4 1/4" inches & has a 1" inch spine. Both covers & spine are made out of medium weight chipboard. 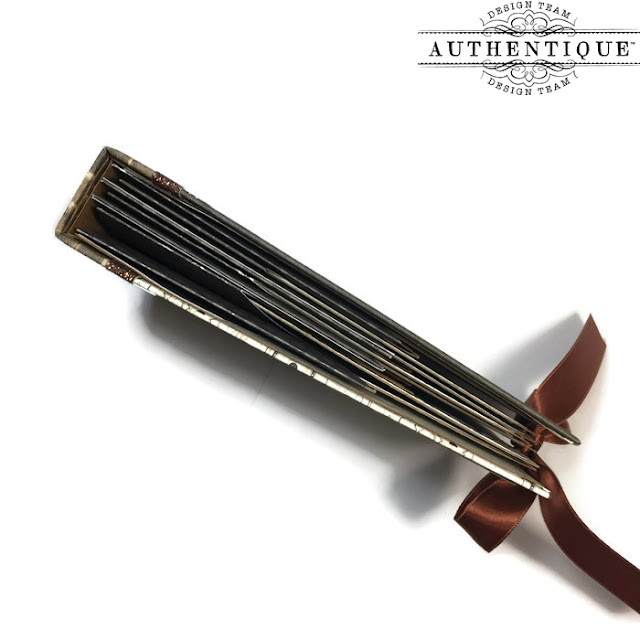 The inside of the mini has seven 'criss cross' accordion pockets that hold seven large tags. Each large tag measures 6" x 3 3/4" inches. I've also included several cut aparts from the collection. Since the pockets are accordion style, they do expand & allow for extra items to be stored inside them. 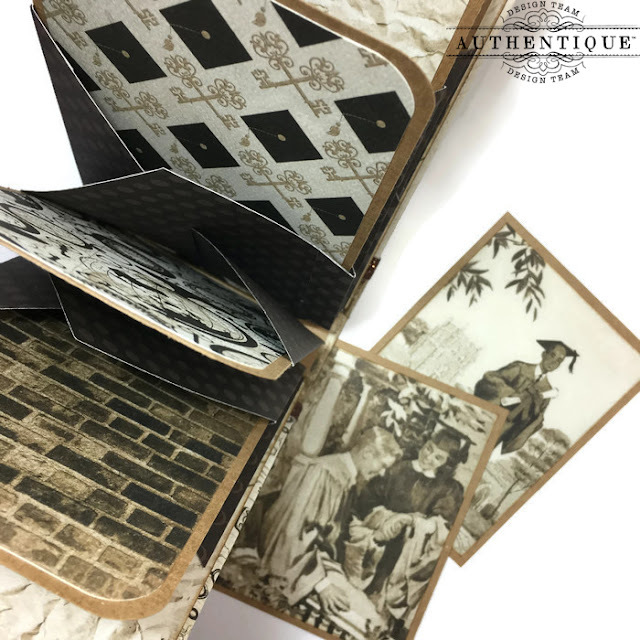 Each pocket can hold photos, inserts & other memorabilia in addition to the large tag. The pockets measure 4" inches wide--in addition to the large tags, you can store free standing 4" x 6", 3" x 5" inch & wallet sized photos. Only the 4" x 6" inch photos would probably need to be trimmed by an 1/8" of an inch to comfortably fit into the pockets. Find below two videos. One is an overview of the mini & the second video is the tutorial showing how the 'criss cross' pockets are made.